When I was a kid my dad used to take my sisters and I every year to visit Ladew Topiary Gardens. 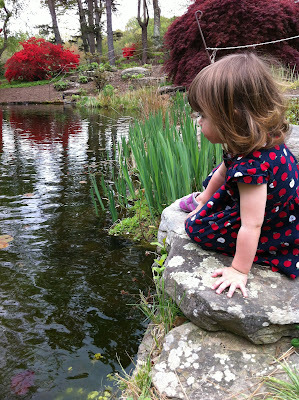 We loved running around, checking out all the different gardens, hiding and playing. So I was very excited to go back many years later with my own girls. Ladew Topiary Gardens is located in Monkton about 40 minutes from Baltimore on Jarretsville Pike (for us city folks that's what happens to Dulaney Valley Road if you keep driving.) 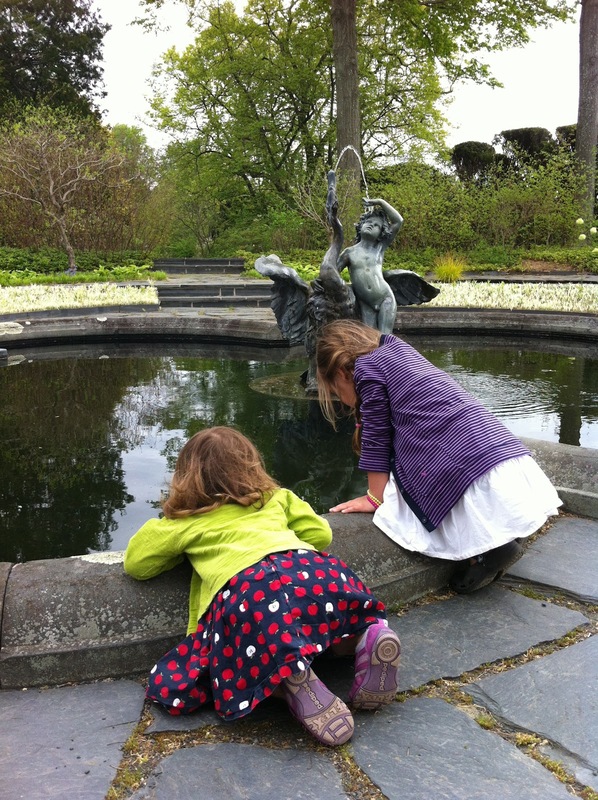 The gardens are open 7 days a week from April 1- October 31st from 10am-4pm on weekdays and weekends from 10:30 am- 5pm. There is a $10 admission for adults and $2 admission for children under 12. With 22 acres of gardens there is plenty to explore. 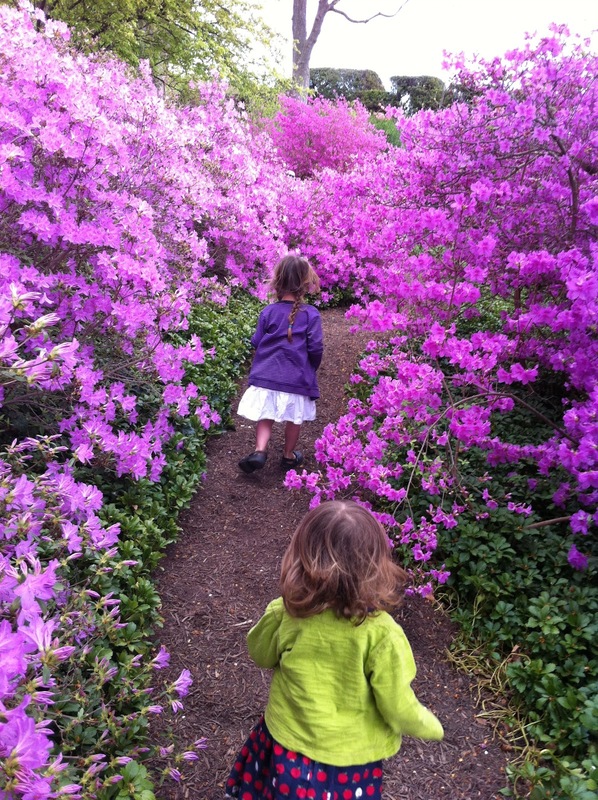 The girls loved the azaleas, which were in full bloom on the day we went. They also loved the topiary, ponds, fountains. However their favorites where the Koi fish in the Asian garden and the frogs and tadpoles in the small ponds by the manor house.